​ ​​Born in 1983 in Belo Horizonte, Brazil, Marcio da Silva began his music studies at the age of 9 with piano lessons and choral singing. As a young boy-soprano he performed as a soloist in Germany, Italy and Brazil for audiences of over 32,000 people. In 1998 he studied in Arizona for six months, graduating from the renowned Phoenix Boys Choir. At the age of 15 he founded a vocal ensemble called Grupo Angels, a group that went on to be awarded the Silver Diploma at the Cäcilia Choir Days Competition in Limburg, Germany, and to be one of the finalists at the II Funarte Choral Competition in Brazil. In 2006 Marcio received his Diplôme d'Études Musicales in voice from the Conservatoire de Toulouse, France, in the class of Mme. Anne Fondeville. He also studied choral conducting with Professor Rolandas Muleika, and orchestral conducting with Professor Stephan Cardon. Marcio continued to develop his orchestral conducting, moving to Germany in April 2008 to join the Musikhochschule, Freiburg, studying under Professor Scott Sandmeier. In the same year he was awarded the fourth prize at the Giuseppe Patané Conducting Competition in Grosseto, Italy. He obtained his Bachelor of Music in July 2011. 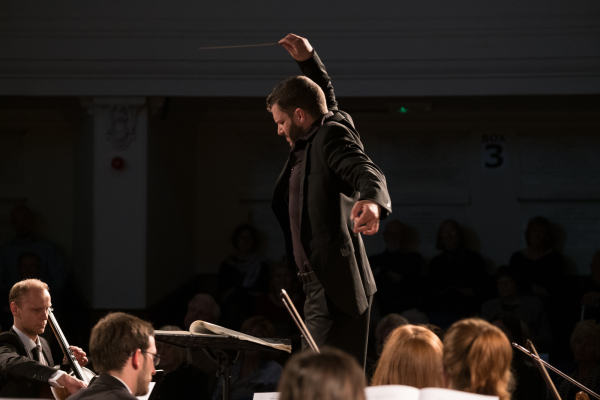 Subsequently Marcio moved to London to undertake a Masters in orchestral conducting at the Royal College of Music, studying under professors Peter Stark and Robin O'Neill. In 2012 he was one of the three conductors to take part in the London Symphony Orchestra Conducting Master Class with Sir Colin Davis. In July 2013 he secured his Masters degree, and in November 2014 he was one of the three finalists at the Princess Astrid International Conducting Competition in Trondheim, Norway, with the Trondheim Symphony Orchestra. 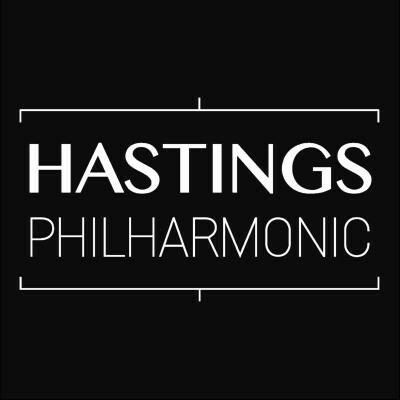 Marcio is the music director of the Grange Choral Society, Hastings Philharmonic, Woodhouse Opera Festival and Ensemble OrQuesta. He has conducted the Pforzheimkammerorchester (Germany), Orchestra Sinfonica della Magna Grecia (Italy), Horizon Ensemble Bydgoszcz (Poland), Württembergische Philharmonie (Germany), Südwestdeutschephilharmonie Konstanz (Germany), Stuttgartkammerorchester (Germany), Nord Tchechische Philarmonie (Czech Republic), Orquestra Sinfonica de Minas Gerais (Brazil), Eskişehir Metropolitan Orchestra (Turkey), Çukurova Symphony Orchestra (Turkey) and the Kosovo Philharmonic Orchestra (Kosovo). In recent years Marcio has conducted and directed over 20 fully staged productions of operas, ranging from less regularly performed works such as Lully's Armide, to very popular works such as Carmen, The Magic Flute and La Boheme. Since 2014 Marcio has organized a number of Opera Academies each year. These have given many singers from across the world the opportunity to study and perform an operatic work at a high artistic level. During these courses Marcio offers coaching in languages (being fluent in seven himself), vocal technique, style, interpretation and staging. As a singer (baritone and countertenor) Marcio has recently performed the roles of Arnalta in L'Incoronazione di Poppea, Mercurio in La Callisto, Colas in Bastien et Bastienne and La Haine in Armide. He also performs regularly as a chamber music soloist.